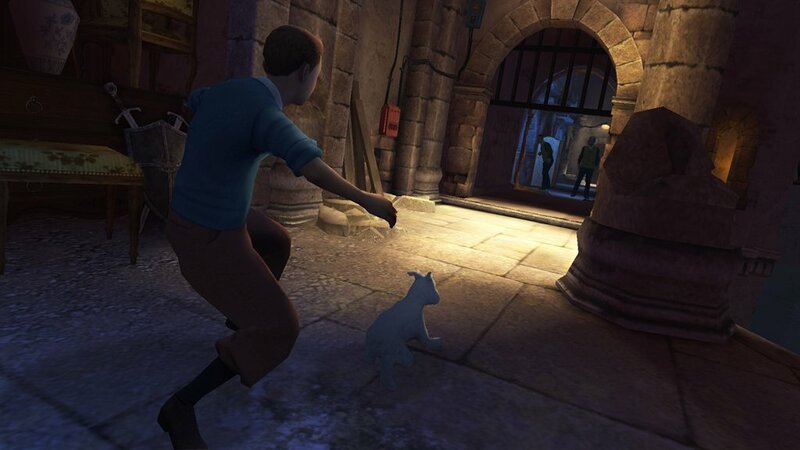 As I was making up my mind on what game I wanted to get my hands on during my time at Eurogamer I saw a free slot open up at the nearest stand but as I got closer , I realised what I rushed for was actually The Adventures of Tin Tin. See a gameplay video below! I’m not really a big fan of the franchise but have heard of it when I was a little younger. I was intrigued to see what this game had to offer. 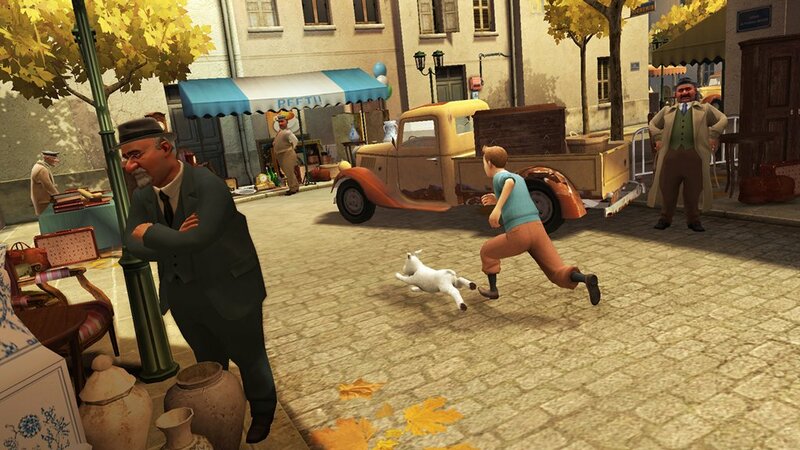 For those that don’t know this game was based on Steven Spielberg and Peter Jackson’s The Adventures of Tin Tin movie published by Ubisoft. You play as the beloved comic book character Tin Tin, a young reporter in a 2D side-scrolling platformer with simple, clean, cartoony graphics and hilarious ways to knockout enemies. Just stay still... we're invisible! The demo offered 5 levels to choose from, two of them were Solo missions and the other three were Co op. Seeing that I had no one to team up with I decided to go Solo and run the game through its paces. 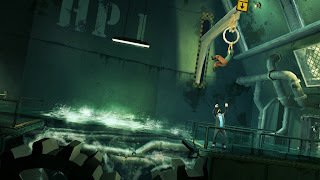 The level I played was called Marlinspike Underground and as the name implies, you start of underground and like most side scrollers you have to jump from ledges, with enemies in your way. There were different ways to take out the enemies, varying from sneaking up behind them and dealing a surprise attack, or the old fashioned but always effective fist to the face. Some enemies it does take more than one punch though but it’s usually the more “rounder” opponents that require several attacks. I have to say while playing this game I did laugh a bit too hard, which got me a couple of stares but HEY! Who cares I’m here to have fun! It’s full of action and adventure and this game seems to suit all ages. The difficulty of the game really isn’t that hard. I guess it was adjusted so that players of all ages won’t have too many problems completing the game. As for the actual platforming, you do have to time your jumps as I did have a problem with the spinning ledges, which caused me to fall a couple of times...ok more than a couple times! So it’s really about timing and distance when you jump to another platform. 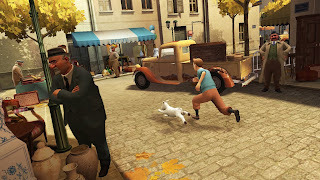 The 2D side-scrolling really works well with the game as some parts are shown in 3D, for example - When Tin Tin crawls into small areas. This title will be available for the Xbox 360 Kinect, Playstation Move and Nintendo Wii in early December 2011!